Long Island City is the fastest growing neighborhood in the city, at the geographic center of the NYC, just a few minutes from Midtown Manhattan. L.I.C. is noted for its rapid and ongoing residential growth, its waterfront parks, and its thriving arts community. One of the most vibrant business communities in the city and largest manufacturing centers in New York State, LIC has more than 6,300 businesses with over 93,000 employees. L.I.C. has among the highest concentration of art galleries, art institutions, and studio space of any neighborhood in New York City. It is bordered by Astoria to the north; the East River to the west; Hazen Street, 49th Street, and New Calvary Cemetary in Sunnyside to the east; and Newto—which separates Queens from Greenpoint, Brooklyn—to the south. It originally was the seat of government of Newtown Township, and remains the largest neighborhood in Queens. The area is part of Queens Commuity Board 1, located north of the Queensboro Bridge and Queens Plaza; it is also of Queens Community Board 2 to the south. 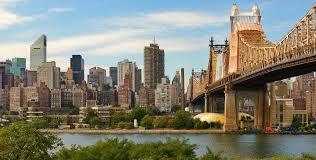 LIC is a transportation hub served by 8 subway lines, 13 bus lines the East River Ferry and the Long Island Rail Road. In 2001 Queens Plaza and Jackson Avenue were named the City’s Fourth Central Business District, and rezoned for large-scale, mixed-use development. Since then, the area has been booming. While sweeping Manhattan views, an easy commute to midtown, abundant warehouse space and low rents have been attracting artists and executives for more than a decade, the lures for nonlocals have been steadily growing, including destination culture hub MoMA PS1 where the Warm Up party takes place every summer, Obie-winning theater the Chocolate Factory, and new writers’ and artists’ salon the Oracle Club. Inevitably, however, regeneration brings the risk that some of the iconoclastic fringe element will be quashed—5Pointz Aerosol Art Center, once the city’s most spectacular showcase of street-art talent, will soon be replaced with a mixed-use development. 7 train to Hunters Point Ave.
M train to Court Square - 23rd St.